Tonight we find out how much of a check the American people want to have on our Executive Branch. Or put it another way, how many of the 1000 legislative seats will the Dems gain from the last 10 years of losses? Will voters feel comfortable with the economy and overlook Trump? Will Trump’s divisiveness prevail and turn out his base? Will we see our first women Native American Congressional Reps? First AA governor of FL and first female gov of GA? How well will the OR candidates perform in this cycle? Of course, we hope there are no machine irregularities, but it’s anticipated that some will occur. And election lawyers will be on hand just in case. 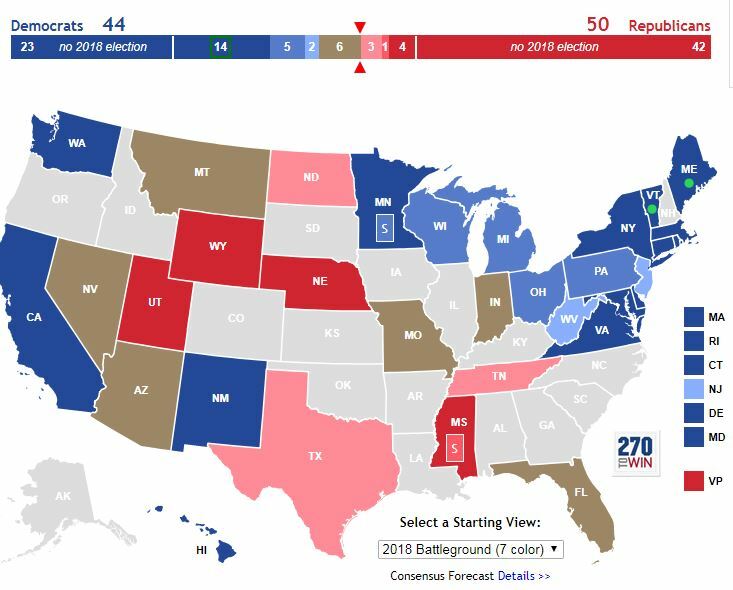 In the Senate, Democrats are defending 26 seats while Republicans are only defending nine. 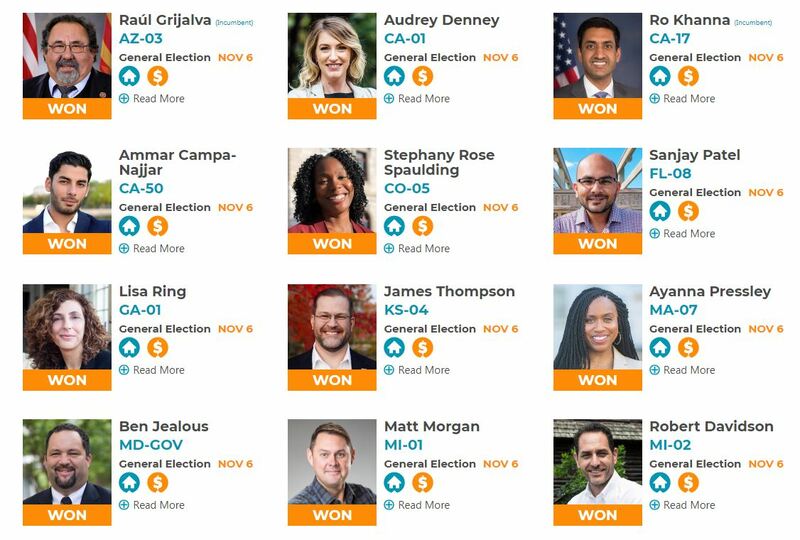 In the gubernatorial races, there are 33 races, in which Dems could possibly pick up 9 of them. First polls close at 6ET in Indiana, VT and KY. Most in the MSM are saying to watch the 6th district in KY, but the bellwethers will be in VA 4 GOP races and FL 4 GOP races when the polls close at 7 ET. 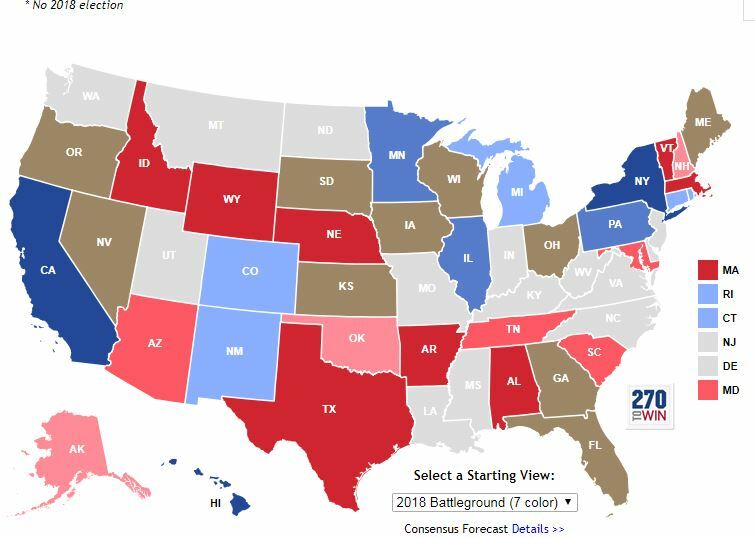 Larry Sabato of Crystal Ball expects Dem pick-ups in the gubernatorial races, including Kansas. Add the races you are keen about in the comments! Go here to see the vote. Unfortunately, it looks like nine Democrats also “blocked” Ro’s amendment, but I’m glad that my Rep. Joe Courtney voted with Ro. Tulsi Gabbard and Beto O’Rourke also voted with Ro. For your reference, here is a list of all of the House Representatives, sorted by name. Here is a list of off of the Members of the Armed Services Committee, sorted by party. We need to do something to help Yemen. I very much appreciate Rep. Ro Khanna’s efforts on Yemen’s behalf. 3/26 Which is More Important Today–Stephanie Clifford, Russia, or Progress? I grew up in Washington, PA, in a poor, blue-collar family. My two grandfathers both worked in the steel mills, and I still remember how Pittsburgh’s economy was devastated when the steel mills closed. Entire neighborhoods went from middle-class to poverty. But, unlike Cleveland and Detroit, we brought in new industries and created new middle-class jobs. We should use this same model around the U.S.: invest in sustainable industries that will keep good jobs inside the United States. Like many of us in the 12th district, the military is a family tradition. I am an Army Veteran who served in Panama and in the 82nd Airborne as a scout sniper and machine gunner. My father is a Vietnam veteran, and my daughter is currently a U.S. soldier serving in the Middle East. A lot of politicians have used veteran’s issues to pander for votes, but very little progress has been made. I promise that I will fight to fix our VA system, and ensure that our servicemembers have the support they need when they return from active duty. After I finished my military tour, I started working in Neurobiology at the University of Pittsburgh in 1996 to support my daughter Brooke. I was able to take advantage of tuition discounts to begin working part-time on a degree. It took a long time, but I eventually earned a Bachelors of Science in Neural-Psychology and Sociology. After 9/11, I learned that the Pittsburgh Graduate School of Public Health created a new program to train professionals in emergency management. I jumped at the chance to serve my country again, and earned a Graduate Certificate in Emergency Management and Public Health Preparedness while continuing my research full-time at Pitt. In 2013, my scientific funding expired and I found myself without a job. Knowing that scientific funding was not going to get better (and will only get worse under the Trump administration), I decided to pursue journalism after earning a Bachelors for Creative Non-fiction writing, mainly focusing on environmental and political issues. For my efforts I was awarded the Heinz Endowment Grant for an internship at Allegheny Front Radio. Later, I became a contributing writer for USA Today – College, and I’ve been published by National Geographic, Alpinist Magazine, and a host of other publications. Today, I’m a Research Associate at Carnegie Mellon University, where I study brain cell circuitry of learning and plasticity. In normal terms, I study how our brains change as we learn. Our brains form new connections (aka, “circuits”) between cells as we are exposed to new information or stimuli from the environment. Newly-created circuits change (aka, “plasticity”) as our brains collect more data. The scientific approach I routinely use at work can be used to address important issues in our district. I want to combine my diverse experience and knowledge to create policies that work for people and their communities. My educational background may not be in politics, but it is relevant for a congressional seat – not only for the public and government policy work that comes with it, but in the way it helps me interact with — and fight for — all of you. We have all seen where our “trained” politicians have gotten us. But, with your help, we can create real, concrete, attainable solutions that can be implemented now, and in the future, to help small communities flourish. As a progressive candidate, I know that change is needed in D.C. We need people to get involved in the political process, and concerned citizen-candidates, like me, that are willing to take on our corrupt government. If I am elected, I plan to work with local Pennsylvania groups so that I can introduce and fight for legislation that will help our state’s communities grow and stay strong. *I support the establishment of a universal healthcare system – Universal healthcare isn’t simply economically sound, it’s a right. *I support the development of renewable energy industries. – Unlike fossil fuels, these renewable energy industries aren’t going away. The sun will not stop shining, the wind will not stop blowing, and the water will keep flowing. These industries will provide a sustainable economy and provide jobs far into our country’s future. One important first step towards this initiative, to ensure efficient distribution of power to our homes and industries, would be to upgrade the existing power grid. Not only would this improve our environment, but boost our economy as well. *More jobs. More job security – The industries of wind, solar, enzyme, and wave turbine would create millions of manufacturing, engineering, sales, technical support, and service repair jobs. Unlike fossil fuel jobs that often disappear when the fossil fuel is depleted, renewable energy jobs provide good-paying work with job security. *Lower cost to consumers – the economy is stimulated when consumers have more to spend. *Energy Independence – Save billions of dollars of government spending on importing fossil fuels. I intend to be a representative for everyone in the 24th Congressional District, not just those who happen to agree with me or identify with my party. That means I am willing to listen and engage in conversations, especially when we don’t agree. The issues below are my conversation starters, not the final word. That word can only come from the people of the 24th. If you’d like to know more about a specific issue or would like to keep the conversation going, please contact me here. •The American middle class deserves a tax break. Let’s put money back in working American’s pockets. When working Americans have more money, they spend it in their communities, creating jobs. A prosperous and robust middle class means a healthy American economy. •For many Americans, child care costs are like having a second mortgage, and student loan debt feels like quick sand. We have an obligation to help working American families. By increasing the tax deductions for child-care and student loans, we recognize the burden faced by American families and offer a deserved helping hand. •For too long we’ve been sold standardized testing and vouchers as “solutions” for public education, but these solutions are really just band-aids for bullet-holes. Education isn’t about test scores or treating students as a defective cog in a testing machine, it’s about opportunity. It’s time we acknowledge that there is as much value in a student who has a genius for machinery as there is for one who can write an academic essay. •With that in mind, we have an obligation to provide an opportunity for our children who have a skill or an interest beyond academia. We must invest in entrepreneurship, skilled labor, and innovation. By investing in a variety of educational programs designed to match the needs of our changing labor force, we offer our children the opportunity to provide for themselves and their families in the future. •60,000. In just the 24th District, that is the number of Americans who would lose healthcare coverage under the Republican House plan energetically supported by our current representative. Most of us would agree that healthcare insurance premiums are too high and that the cost of coverage is hurting more American families than it heals. •A single-payer system is now a part of the national conversation and one many Americans are interested in exploring. As your representative, I will advocate for this approach and work to improve healthcare accessibility and cost for all Americans. 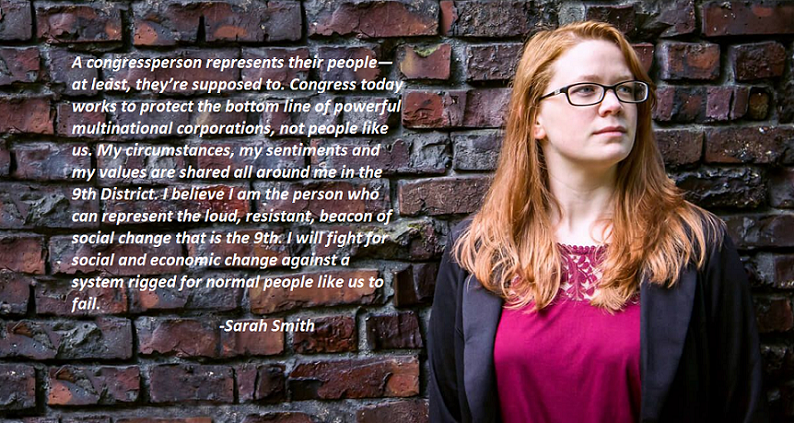 Meet Sarah Smith, candidate for WA-09. 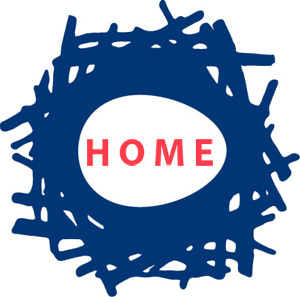 Like so many in the 9th, I’m a middle class working woman and wife, living in Kent, trying to keep up with a mortgage payment and student loan bills. I’ve worked any job I could to keep that roof over my head today. I’ve been a foreclosure specialist, a paralegal and a liability negotiator. Today I work full-time as an administrative coordinator for a small business. For as long as I can remember, I’ve been socially, if not politically, engaged. I’ve marched, donated, served and organized for Planned Parenthood, the World Wildlife Fund and the Humane Society. Through the years I’ve worked with refugees, Indian-Americans, young girls and feminist groups. Working families like ours have lived on the edge of disaster for a long time. Yet despite all the times Congress has threatened the social safety net that helps people get their lives back on track, the net was always there. There were holes in that net, to be sure. That’s why I’ve helped coordinate food drives to aid families impacted by program cuts. But the net was still there. That all seemed to change November 8th, 2016. The 115th Congress is more hostile to the needs of working families than I’ve seen in my lifetime. It was, for me, an awakening, and I knew it was time to abandon my armchair liberalism and get involved. This will include high-quality general, dental, vision, and mental health coverage. Medicare is more efficient than any private insurance provider and is accepted by 95% of doctors. Under our plan, private insurance companies will be allowed to compete with each other in a truly free market to offer supplemental insurance plans. We have a shortage of doctors and health care facilities in America today. In rural areas, it can be almost impossible to see even a general practitioner let alone a specialist. The American Medical Association currently restricts the number of doctors who are admitted to medical school and the number of foreign trained doctors who can be certified to practice in America. They do this to ensure higher salaries for doctors. We believe doctors are incredibly valuable members of our communities and economy and should be paid well — and they should not have to create shortages to raise their wages! Many children go to schools with aggressive zero-tolerance disciplinary practices, which are directly tied to Congressional funding requirements. These policies often result in suspension or expulsion for students with disciplinary issues — pushing them out of school and into the criminal justice system. Not only does this leave children without the resources they need to succeed, but it also creates antagonism between children and authority figures, contributing to the likelihood of their incarceration. We will reform our electoral system to create a more perfect democracy: This will include removing money from politics, getting rid of the electoral college, investigating alternative voting systems such as ranked choice voting, and making election day a national holiday. In addition, we must improve the actual mechanics of voting to make it easier to vote and to defend against electoral fraud. More info in the comments. 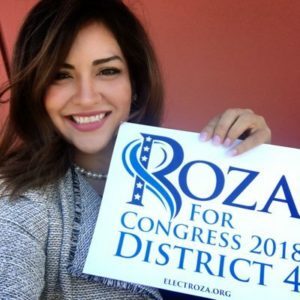 Meet Roza Calderon, the Justice Democrat backed candidate for California’s 4th district. As a geoscientist, activist, and single mother, Roza Calderon knows that we need leaders who represent real people’s needs over party interests. That means combating climate change, fighting for Medicare for All, and building an inclusive economy – not because it’s popular, because it’s the right thing to do for California’s 4th District. Raised in the “All-American City” of Lincoln, CA, she planted her roots and is raising her family in Congressional District 4. Roza values hard work and understands the importance of restoring the faith in the American Dream. She is dedicated to standing up for working, blue-collar families to secure their livelihoods. The American Dream is rooted in the ideas that every child deserves equal opportunity to excel and that individuals who work hard should have a fair shot to get ahead, no matter where they started in life. ​We are a nation united by civic values. These beliefs help build our national character and our economy. When we provide equal opportunity for all, our economy does better for everyone. Roza will fight for every Californian and American to make sure the American Dream is there for the next generation and many more to come. 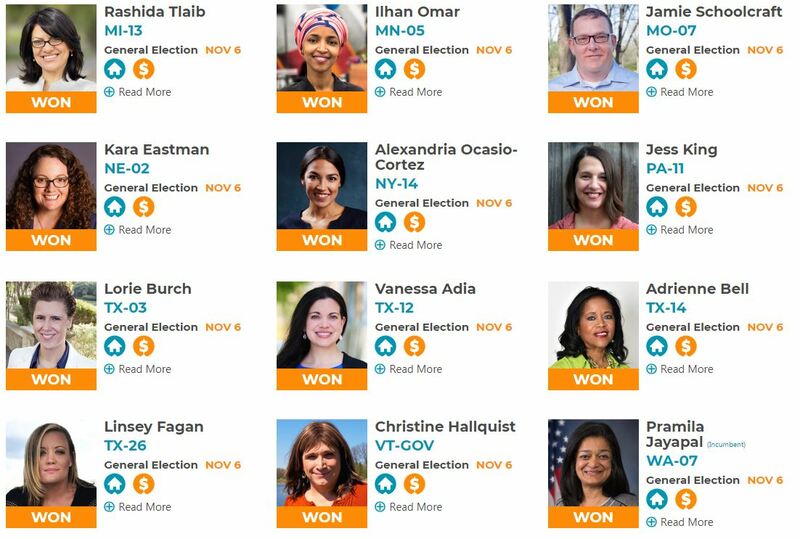 *Get money out of politics to ensure representation – your vote should count! Are you disgusted with the complete lack of morality and values shown by this GOP dominated government? Have you realized that we the people are of no concern to them? Does it infuriate you that our elected representatives work strictly for the top 1% and their special interest groups? The only way to reverse our government’s disastrous course is to remove the GOP majority in Congress. Nevada House District 3 is open for 2018. This is a crucial seat. We must keep it Democratic. I want the United States to get back to being a democracy, not an oligarchy. If you agree, then I ask you to join me. I have no rich donors, I do not come from a long line of politicians, and I am not beholden to any special interests. It‘s time to fight. The future of this country and our people are at stake. Fayrouz was born and raised in Michigan and has spent her career serving the public, most recently for Detroit Mayor Mike Duggan. A proud graduate of Michigan public schools and the University of Michigan, Fayrouz has worked at every level of government to keep our communities safe and to expand opportunities for families in Michigan. Fayrouz learned the value of hard work from her parents, who immigrated to Michigan more than 40 years ago and started a small business in Detroit’s Eastern Market. A proud progressive, Fayrouz learned from her parents that through hard work and determination anyone can achieve the American Dream. Fayrouz is running for Congress to make sure we keep that promise alive for all Michigan families. After graduating from the University of Michigan, Fayrouz began her career as a field organizer for the Kerry Campaign working in Michigan’s 11th Congressional District. She went on to work for Michigan State Representative Gino Polidori, where she led successful efforts to reform foster care, securing unemployment benefits for military spouses and banning texting while driving. In 2008, inspired by Barack Obama’s energy and message, Fayrouz joined a non-profit organization to encourage civic engagement and voter participation. Fayrouz then accepted an appointment in President Obama’s Administration at the Department of Homeland Security (DHS), where she worked to strengthen community policing efforts in the fight against terrorism, protect state and local critical infrastructure, and strengthen our nation’s cybersecurity. After the Deepwater Horizon oil spill wreaked havoc along the Gulf Coast in 2010, Fayrouz helped coordinate the Department’s emergency response efforts to stop the spill and clean up our coasts. After serving in the Obama Administration and completing a Master’s Degree from the Harvard Kennedy School of Government, Fayrouz returned home to Michigan to contribute to Detroit’s revitalization. In 2015, Fayrouz became the first Director of Detroit’s Office of Immigrant Affairs under Mayor Mike Duggan – where she helped immigrants integrate into the city, find jobs and start businesses. Fayrouz also served as the Board Chair for Emgage-USA MI – an organization she helped launch that fosters civic and electoral participation within the Muslim-American community. Learn More, Sign Up, Volunteer & Donate @Fayrouz Saad For Congress. Send me to Congress and I will stand up for the families in Washington’s 8th Congressional District. These are the families I’ve had the pleasure of serving for the past 16 years as a pediatrician in Issaquah, and I know how to listen. I will look at the issues facing our district as a scientist, doctor, and parent, with an eye towards making sure that the patients I take care of today have access to great, affordable healthcare, clean air and water, an excellent public education, and a shot at the American Dream. I am not a slick career politician. I am a pediatrician, a wife, and a mom who thinks it is time to bring some basic common sense to Congress. I am the daughter of an elementary school teacher and an aerospace engineer. I have been a pediatrician in Issaquah for 16 years, and I am committed to my community. Since the age of 16 when I was diagnosed with Type 1 diabetes, I have understood what it means to worry about health and health insurance. I believe that healthcare is a right, not a privilege. My family and friends span the political spectrum, and I’ve spent my life bridging divides. I have been fortunate to benefit from excellent public primary and secondary education, including my degrees in Astrophysics and medicine. I met my husband, David, at our 10-year high school reunion, and we teach our 8-year-old son, Sam, how important it is to stand up for things that matter and pursue a life of purpose. In Medicare, 99 percent of expenditures go to providers and patients—only 1 percent goes to administrative overhead. In for-profit health care, administrative costs are up to twenty times higher due to multimillion-dollar CEO salaries and dividends to investors. The cost of Medicare could be reduced further by simplifying it and getting rid of unnecessary regulations, but the cost of private health care could be reduced enormously by lowering administrative costs. I am strongly against privatizing Medicare, Medicaid, or Social Security. As a nation, we need to get away from the idea that the free market will fix everything. That’s not true, and it’s especially not true about health care. Health care isn’t a commodity, where the price is the most important factor in the buying decision. And no one—especially the poor—should have to worry about the price of a lifesaving operation being too expensive for their budget. The attitude of the federal government toward Native American tribes has been condescending for far too long. I believe that the government should honor its treaties with Utah’s native tribes—no exceptions. Tribes should be able to prosecute crimes committed on their lands, make their own laws, and practice self-determination in as wide a purview as possible. The federal government should invest in infrastructure, communications, transportation, education, and addiction treatment programs on tribal lands. Above all, there should be no more broken promises. Native Americans living on reservations are American citizens, and deserve the same rights as all the rest of us—including the right to vote at an accessible, convenient location. We must honor the truth. We cannot make good policy unless we base our understanding firmly upon verifiable facts. Facts are reality, and we ignore them at our peril. A lie does not become true just because it gets repeated over and over again. I am appalled at how false news sources have penetrated our society through the internet. Misleading memes and badly sourced “news” articles are lies attempting to manipulate the vulnerable. These fake stories have weakened the civility of discourse in our society. Everyone has a responsibility to check the facts before sharing and reject unreliable news sources. Science is the best process human beings have found for discovering the truth. The new technologies science brings us can be used either to help or harm mankind. But the truth itself has no agenda. I am appalled at the lack of respect for science that the Trump administration has shown. We need to use the facts we’ve learned from science to make effective policy. As a family doctor, I’ve learned over the years that complex health problems require complex treatments. The same is true of public policy. We can no longer afford to deceive ourselves by thinking that complex issues can be solved with simple fixes. It’s simply not true. In our real world, complex problems need innovative, detailed solutions. I’m a teacher and former diplomat who served with distinction in Iraq, and my family has had a farm in the Hudson Valley since I was a boy. We the people of New York’s 19th District are in the fight of our lives. We’ve formed a grassroots uprising that has shaken the powers that be. After organizing and rallying in our movement, I’m leading a people’s campaign to win us back our voice in Congress. This is not my first fight or my first turn to government service. I’ve been fighting for our country and what I believe in all my life. After my service overseas, I returned to my family’s farm here in the Hudson Valley to raise my family, raise livestock and answer a call to teach. Today I live in Woodstock where my wife Suhayr and I both teach and our two sons attend school. From here in our home in the Hudson Valley – and in homes with supporters around the district – we are putting together a people’s campaign to unite our community and take our fight to the Capitol. We’re doing it because we refuse to stand by while the America we were raised to believe in is weakened by incompetence and dishonesty at the top. The very wealthiest in our country are manipulating our system to steal from the rest of us and hollow out the American Dream. We won’t give up on that dream. It’s the dream of equal opportunity for ourselves, a good education for our children, a living wage for our workers, a clean environment, and health care for our sick and our elderly. I used to believe democracy was something we fight for overseas. Today, I believe we have to fight for our democracy here at home. We’re uniting for that fight now. I hope you’ll join us. Unite to provide Medicare for all. Unite to lower prescription drug prices. Unite to increase Social Security benefits. Unite to rebuild our infrastructure. Unite to develop rural jobs, small businesses and local farms. Unite to fight income inequality and a rigged economy. Unite to make public education tuition free. Unite to face climate change with science and sustainable energy. Unite to end racial injustice, bigotry and violence. Unite to protect women’s reproductive health.